Slides and video from my talk "Domain Modeling Made Functional with the F# Type System"
This page contains links to the slides, video and code from my talk “Domain Modeling Made Functional”. Types can be used to represent the domain in a fine-grained, self documenting way. And in many cases, types can even be used to encode business rules so that you literally cannot create incorrect code. You can then use the static type checking almost as an instant unit test – making sure that your code is correct at compile time. In this talk, we’ll look at some of the ways you can use types as part of a domain driven design process, with some simple real world examples in F#. No jargon, no maths, and no prior F# experience necessary. I am also planning to upload some posts on these topics soon. Meanwhile, please see the Designing with Types series, which covers similar ground. You should also read “why type-first development matters” by Tomas Petricek and a great series of articles by Lev Gorodinski. 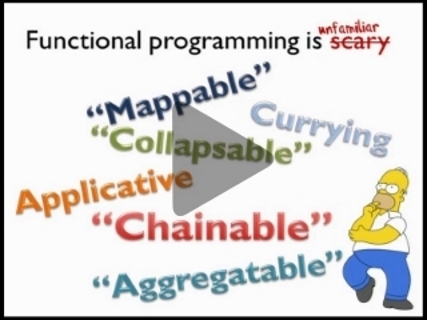 F#unctional Londoners 2014 version (Speakerdeck) with added sections on why OO, not FP is scary, and designing with states and transitions. I have a book all about this topic – you can find more details on the books page. If you have F# installed locally, download this file.